25 countries in 10 years, Joseph brings songs from his journey to Edinburgh. Originally songs for a band, this gig is a rare opportunity to see them arranged for solo guitar in an intimate setting. 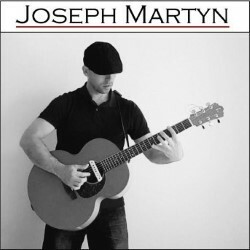 Not your typical singer-songwriter, Joseph emulates the band dynamics using his guitar. No loop pedal in sight, Joseph's guitar techniques (fingerpicking, bass runs, blues licks) combine with a rhythmic pulse all topped off with a lyrical melody to create a musical style leading to invites to perform all around Scotland. One to watch for 2019 and an AMC debut!